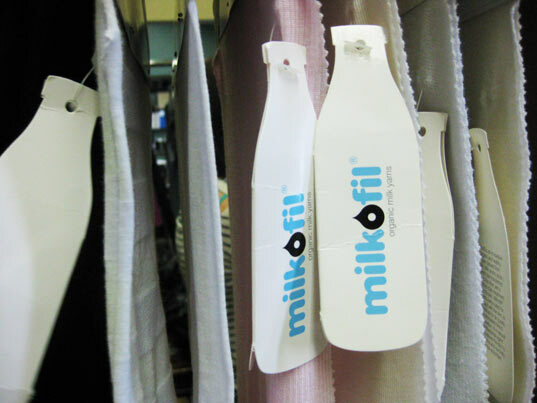 n. 1 a: A silk-like fabric by made from casein, the white, odorless protein from which cheese is made. Made by Maclodio Filati, Milkofil is said to have naturally antibacterial properties and perhaps even boost circulation. It does, however, take about 100 pounds of skim milk to make 3 pounds of milk fiber, a likely reason why it isn’t more widespread. b: Can be blended with other fabrics like cotton, silk, and cashmere to give it different characteristics.